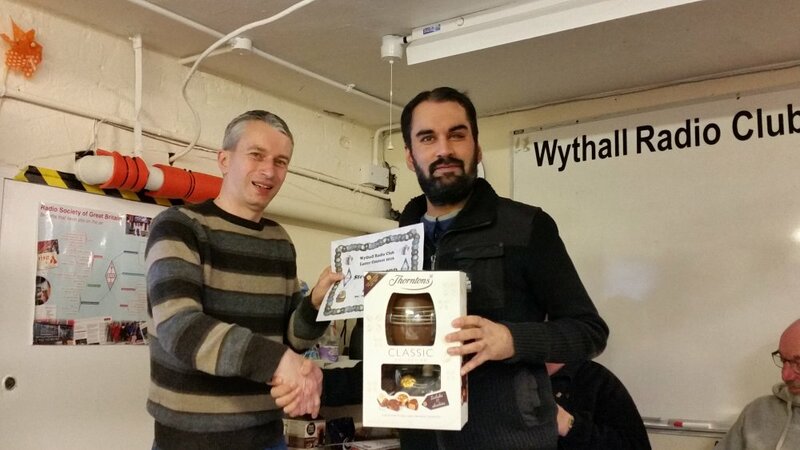 While Wythall Radio Club’s next Intermediate Exam Course is soon to begin, we are currently celebrating our recent Foundation successes. You may have already read below about David Simmons and his success in becoming M6KND, but 4 other candidates have also been celebrating. 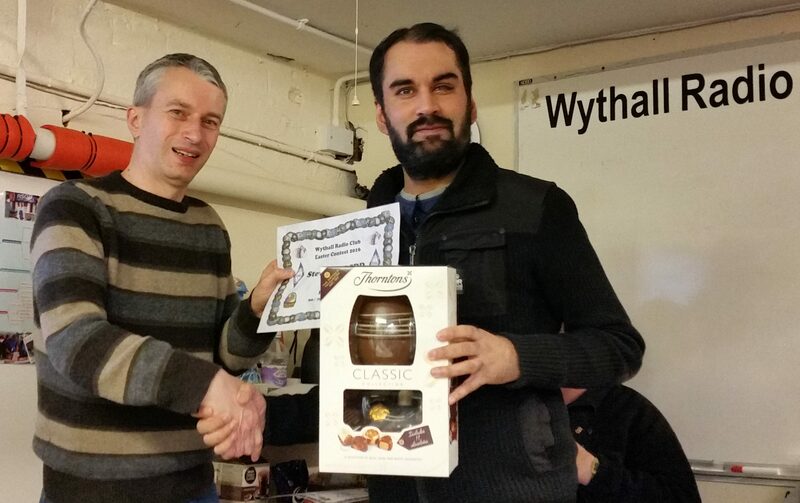 So it’s a big Wythall “well-done” to Martin M6GYH, Stuart M6GYF, Neal M6NCM & Michael M6GWQ. All four passed their Foundation exams with us in the Spring and it is fantastic to hear of their new callsigns. Watch out for Martin M6GYH who is giving a talk to the Club next month! Meantime, remember if you are interested in our training courses, drop a line to Training Co-ordinator Chris G0EYO on the email, g0eyo(at)blueyonder.co.uk. You could be featuring on these pages next! Ignore this! The meeting starts at 8.30pm! 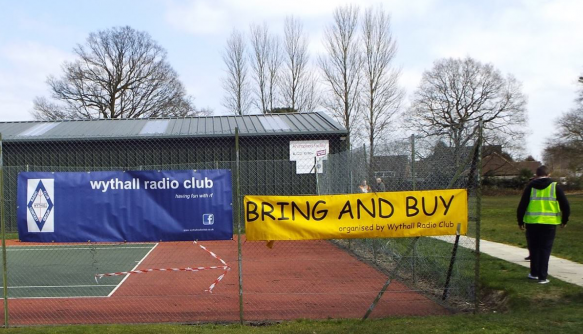 …but it is the title of this week’s offering from Wythall Radio Club. Three of our members are giving mini-talks lasting 15 minutes each, hence the 3-15. If you want to find out more about this mystery evening, why not come along to Wythall House, Silver Street, Wythall B47 6LZ. We kick off at 20:30 and you will be very welcome! 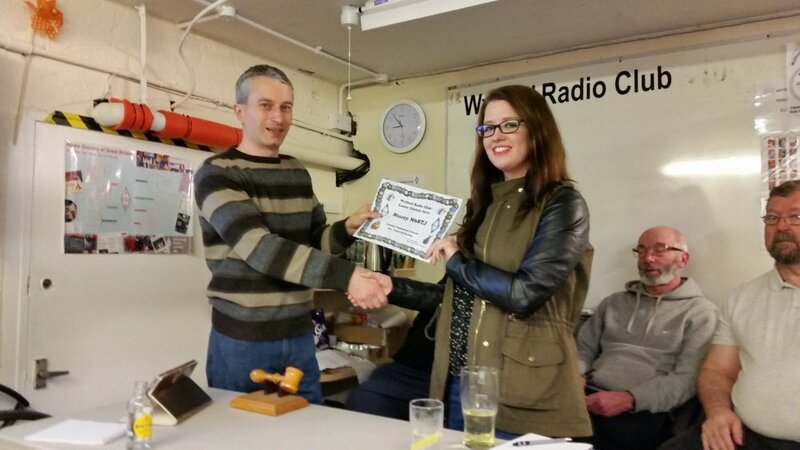 Hot news from the Training Department at Wythall Radio Club! 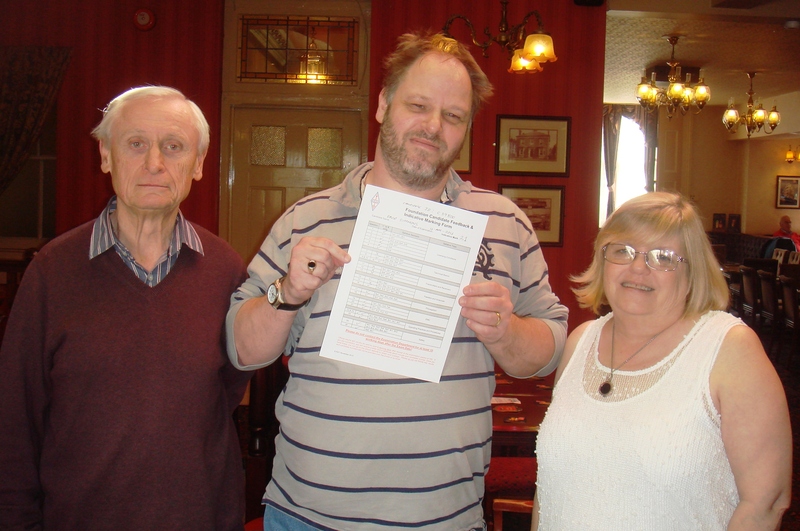 We have just had our first exam pass for a blind entrant to the hobby. With help from our friends at the Radio Society of Great Britain, we were able to remove many of the obstacles in the way of a disabled candidate gaining a license, whilst keeping the course both challenging for him and meeting the statutory requirements. 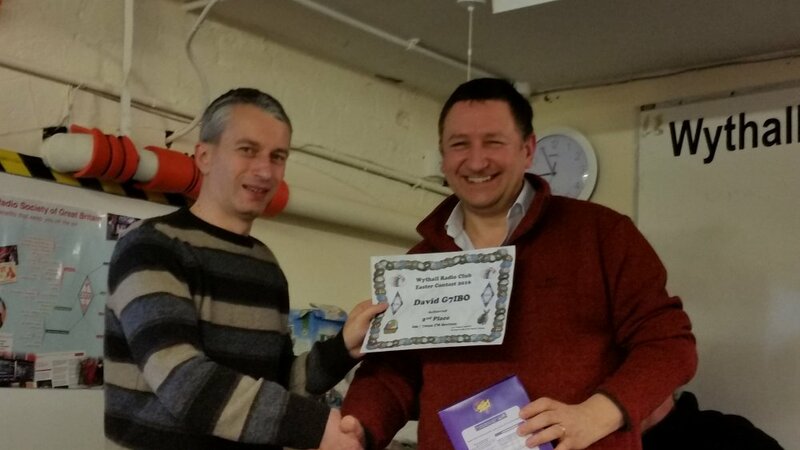 David used an audio version of the Foundation course book and prior approval for the Practical tests was obtained so that he could show his knowledge in the most appropriate way. Wythall Chair, Anita 2E0DUO was also examined by the relevant officials so that she could act as David’s reader for the specially-prepared exam on the night. A fuller article on the details of how our Trainers overcame some of the difficulties involved in training David will appear in our next newsletter, so watch out for that! All the hard work paid off of course, as David passed at the first time of asking and he is already making our Training team put their thinking caps on – he wants to do the Intermediate and Advanced exams next! 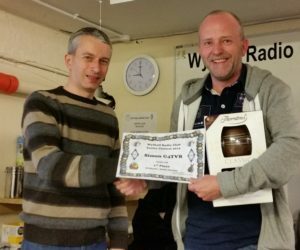 Following the fantastic response to arguably our most successful event to date, Wythall Radio Club are proud to announce the date for our 2017 Hamfest. Next year’s extravaganza will take place on Sunday 19th March, 2017. Book the date in your diary NOW! Once again we will have a huge range of traders, large and small; no less than four halls will be available; once again we will have a lecture stream but most importantly, the famous Burger Van will be there to keep you from being famished! We will have more exciting news about the Hamfest as this year progresses, so make sure you subscribe to our news feed so that you don’t miss out! …and the results of the Wythall Radio Club Easter Contest are out – and there are new names in the top spot positions! Despite heavy competition, the winners of both sections of the WRC Easter Contest are first-time first-placers. 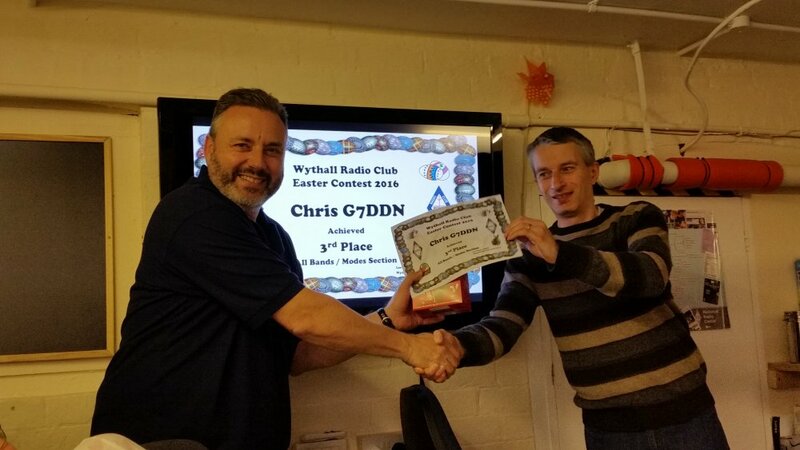 In the 2m/70cms FM section, Steven 2E0SDD was victorious over David G7IBO, while in the All Bands section, it was Simon G4TVR who won top prize from Dave M0IFT, who has now finished second in both his last two Wythall contests. 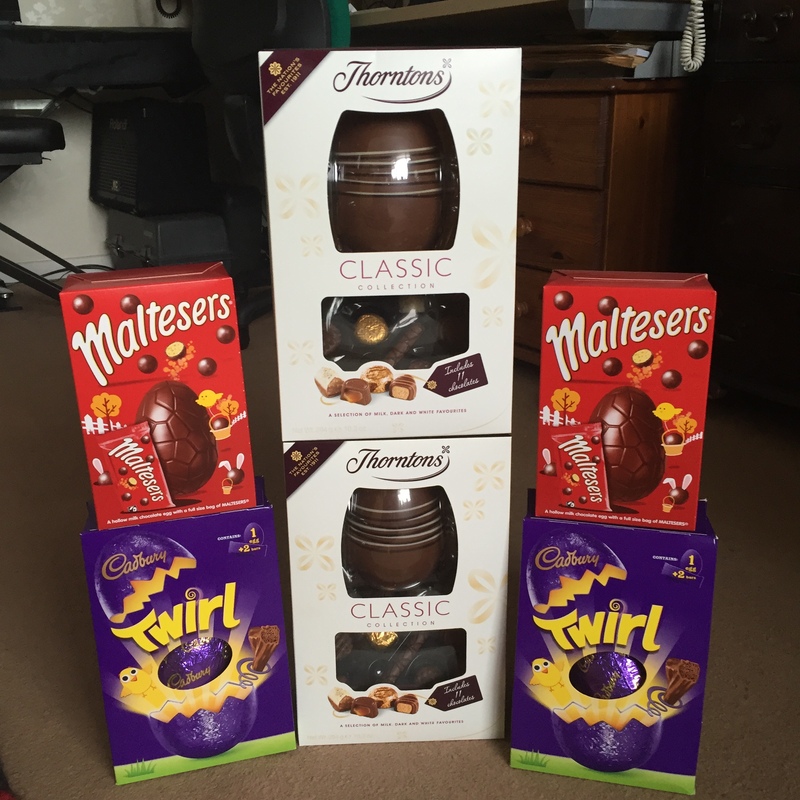 It seems the Easter contest, though more sedate than our Christmas event, is the little more popular for its chocolate prizes! Maybe we will have to add something to the next Christmas contest to make it a little more “palatable’… :-) Selection boxes, anyone? Wythall Radio Club’s training department are celebrating today – on two fronts! Training Co-ordinator Chris G0EYO informed us recently that all 3 of our latest cohort of online Foundation Licence students have passed with flying colours – one with 100% in the final exam. 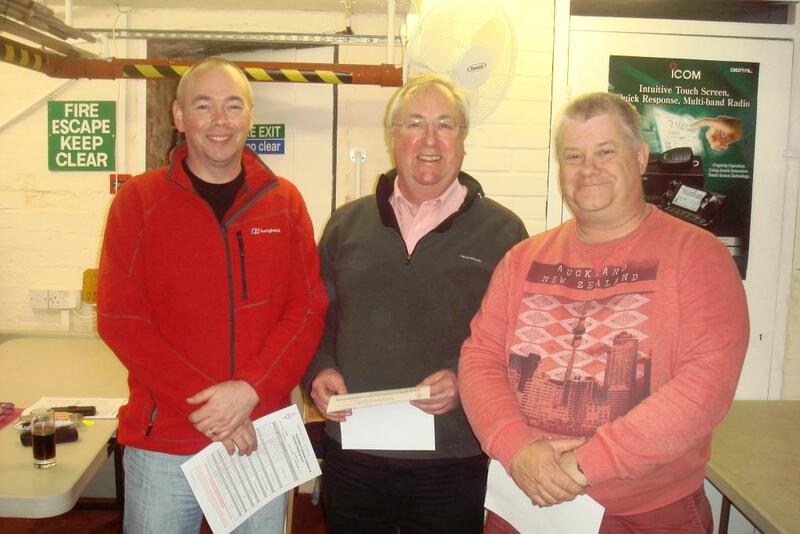 Hearty congratulations then to Neal from Loughborough, Stuart from Solihull and Martin from Maypole, South Birmingham. But on further delving, Chris was able to give us some other revealing statistics. 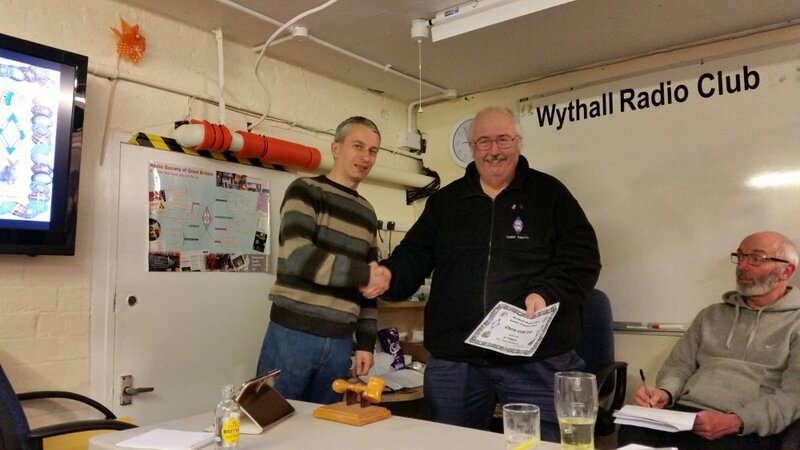 Wythall Radio Club’s training courses began in January 2008, with an Intermediate Course. Since then we have accrued 84 Foundation passes, 62 Intermediate successes and 53 Advanced Licence holders. Furthermore, these new entrants to the hobby make up almost 60% of our current club membership, which numbers well over 80. 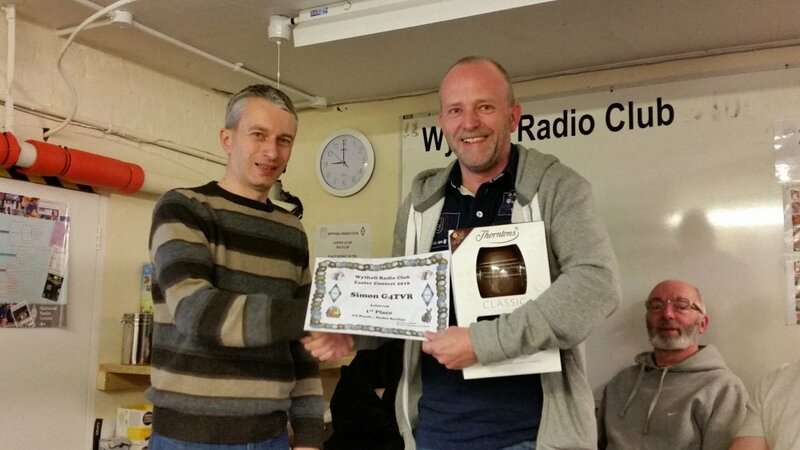 No wonder Wythall Radio Club continues to flourish. 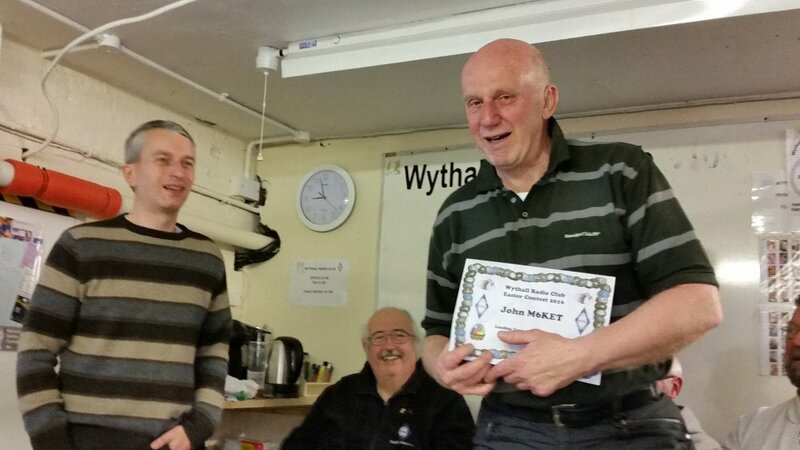 Our special thanks then to Chris G0EYO, Roger M0GWM and all our training team, not forgetting John M6KET and the Morse Code class, which also draws new members into the club! 6 Eggs up for grabs! Yes we know it’s a little on the late side, but Easter will be coming to WRC this Tuesday. That’s because the chocolate egg prizes of our in-house Easter Contest will be awarded this week! Members will gather this Tuesday at 8.30pm in the Club rooms to discover who the 6 lucky winners of the choccy prizes will be. Contest adjudicator and supremo Lee G0MTN will be in the hot-seat, doling out the prizes and there will be a fair few folk in the running this year, judging by the entries, which are up on last year’s event. 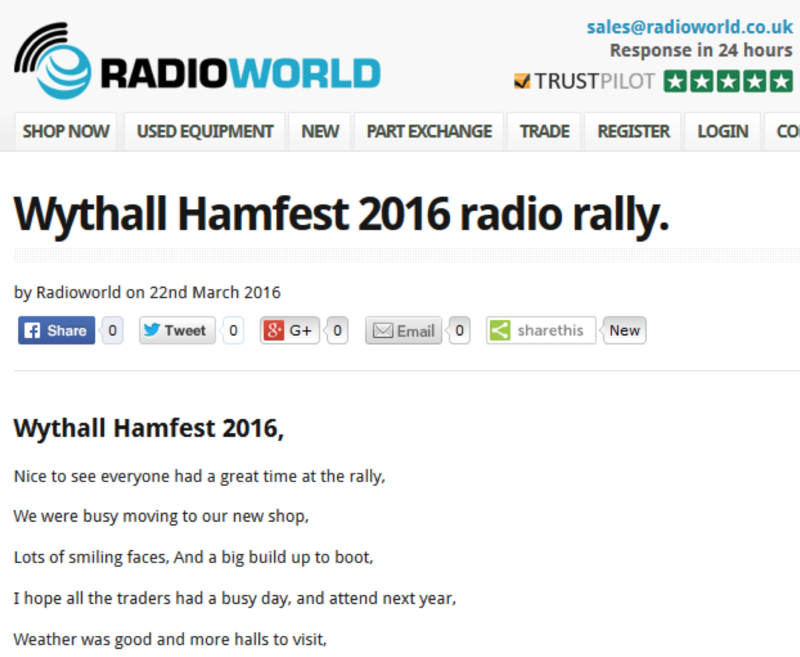 For those that didn’t notice, our friends Dave & Annette Hayward from Radioworld couldn’t make it to this year’s Wythall Hamfest. But they had a good excuse for being missing – they were in the thick of a shop move! Dave & Annette’s new store at 263 Walsall Road, Great Wyrley, WS6 6DL is very much improved on the old one as you can see in the pictures on their website. It’s a great time to buy from them too, as they have a special April offer on with a 5% off vouchercode! 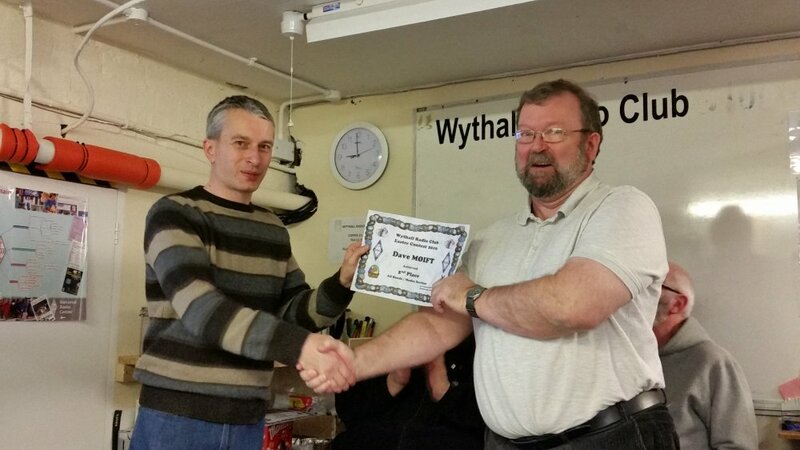 With Radioworld well settled in their new abode, we very much hope to see the pair of them, and their son Sam, at next year’s Wythall Hamfest. Along with Radioworld, we’re already looking forward to 2017!